I want to live healthfully, comfortably, and well every day! And, I want to facilitate that for you, and for others. 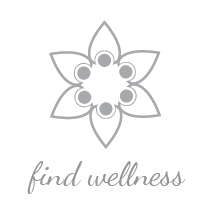 I love my clients, and enjoy using effective, integrative methods to facilitate emotional, physical, and life wellness. Approach Description: Personalized, effective, thorough help without medication. Holistic. Many techniques, but my favorite and specialty is NET, Neuro Emotional Technique, the most effective technique I have found in my many years of experience. Education: B.S., dual certification in Elementary Ed , and Special Education for Physically Handicapped. M.A. in Counseling Psychology Ph.D. in Counseling Psychology Certified in NET, MBTI, and Grief Counseling. Training in EMDR and NMT. Nationally Certified Counselor, and Nationally Board Certified Coach. Relief from anxiety, depression, trauma, phobias compulsions, school difficulties, etc, without medication. Effective and efficient treatment in a personal and holistic manner. Children and adults. Career Assessments and Career Counseling. Email to Christine Hannafin, Ph.D. Very near Chester County Hospital, at the corner of East Marshall Street and North Franklin Streets. 419 North Franklin Street, West Chester, PA 19380. Lots of parking available. First floor office, handicapped accessible.